The bioeconomy was the hot topic in Brussels in mid-November, where a policy day was held as part of the Horizon2020, Societal Challenge 2 (SC2) Week. The week saw the publication of two important documents: a review of Europe’s 2012 bioeconomy strategy and a Manifesto on Bioeconomy prepared by a stakeholder panel, on which Director Daniel Zimmer has represented EIT Climate-KIC since May 2016. Highlighting the importance of the topic, seven Commission DGs took part in the various panels. 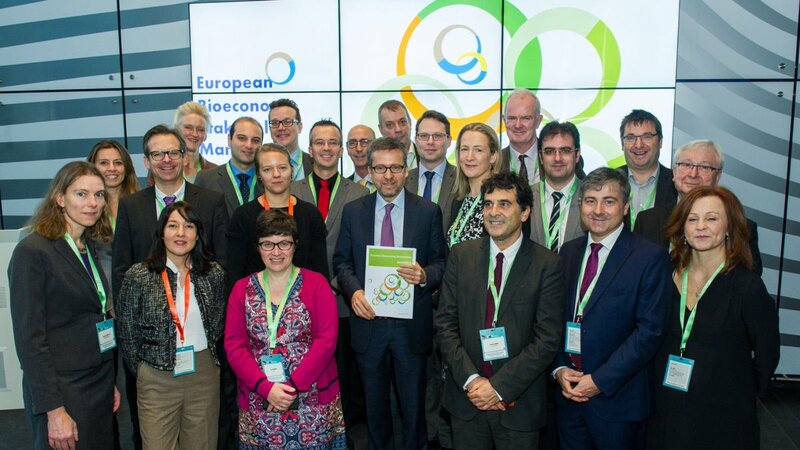 Launching the day, European Commissioner for Research, Science and Innovation, Carlos Moedas in his speech said the bioeconomy represented €2.2trillion of the EU’s economy and nine per cent of its workforce, playing an ‘enormous part of our lives’. He said the bioeconomy was a vital part of the EU economy, particularly in rural areas and reinforced support for other policy priorities like, the circular economy, climate change and food security. The cork industry alone, he said, represented 6,000 jobs in Portugal. Highlighting the recently published review of Europe’s bioeconomy strategy, Mr Moedas said he wanted to see better communication around the bioeconomy, greater collaboration across policy and disciplines and greater private investment to maintain Europe’s global leadership on the bioeconomy. He promised to update Europe’s bioeconomy strategy by the end of 2018 which will support the modernization the Common Agricultural Policy. Since 2012, European policy has seen R&I funding for bioeconomy double, driving R&I investments across many Member States. While this is clearly a success, previous policy did not completely address key concerns about the sustainability of bio-based products. The review therefore recommends that a better understanding of the prospective development of biomass supply and demand is developed, to ensure that bioeconomy operates within the limits of the biosphere. 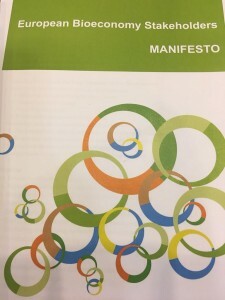 The document also calls for stronger links between the circular and bioeconomy, an option that Climate KIC has also prioritized and campaigned for. The review of Europe’s bioeconomy policy was released and is available here. John Bell, Director of Bioeconomy in DGRTD stressed that Europe is currently perceived as the global leader in the bioeconomy and that we need to keep this leadership position. The need for clear and better metrics on fossil carbon substitution was also stressed by many organisations. 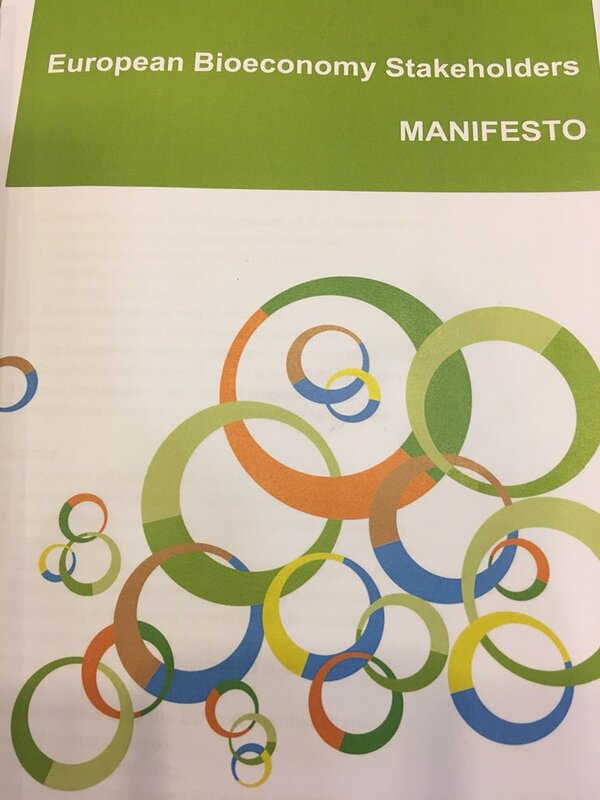 The manifesto was signed by EIT Climate-KIC and 28 other European organisations engaged different aspects of the bioeconomy in its broadest sense, such as producing biomass from agriculture, forestry, fisheries or converting it into bio-based products. 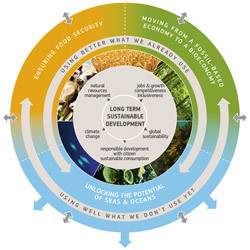 The Manifesto stresses the need for a sustainable bio- and circular economy. It reflects a consensus across most of the stakeholders (with the exception of farmer unions (COPA-COGECA)) who see bioeconomy as a major opportunity to revitalise agriculture and feel that Europe is lacking ambition on biomass production.